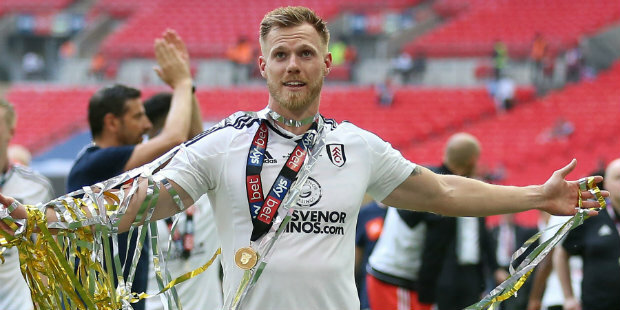 Tomas Kalas has admitted that he found it hard to accept Fulham’s decision not to keep him at the club after he helped them gain promotion. The 25-year-old Chelsea defender is now on a season-long loan at Bristol City, but played a major part in helping the Whites reach the Premier League last season. “If they’d wanted me at Fulham, I would have stayed, but they didn’t,” he told West London Sport. And given the woeful consequences of a much-changed defensive line-up at the Cottage this season, that decision looks even more perplexing with Fulham having lost seven of their 10 league games so far. “Fulham are not doing well, but nowhere is it written that if I had been there, they would be doing OK,” Kalas added. It is almost easy to forget Kalas is still technically a Chelsea player – although he accepts the four appearances he made for the Blues under Jose Mourinho in the 2013-14 season may never be repeated. One of his two Premier League starts came in the 2-0 win over Liverpool at Anfield in which Demba Ba’s famous first-half goal helped de-rail the home side’s title hopes. “I always wanted it [to play for Chelsea] but if I can see for myself the way it goes, or the way it went so far, and I’m not sure,” he said. At least Chelsea are keeping tabs on the Czech, as he starts a new challenge in the West Country – following a path trodden so successfully not so long ago by Tammy Abraham, and which has also enticed fellow Blues player Jay Dasilva. “A couple of days ago, Paulo Ferreira [technical coach at Chelsea] was here at the Hull game to find out how I’m settling down – bringing some analysis about the game, and trying to help me improve myself,” Kalas said.